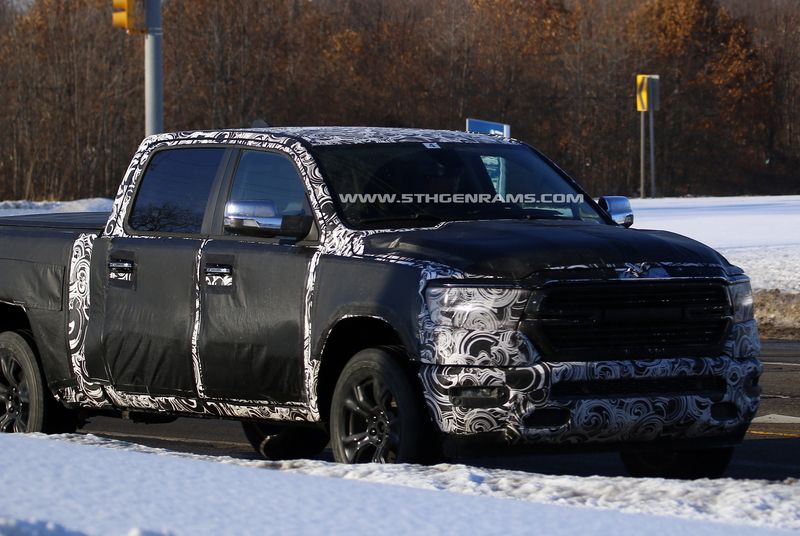 Here we have what is likely to be the last set of 2019 Ram spy shots before the trucks debut on January 15th. 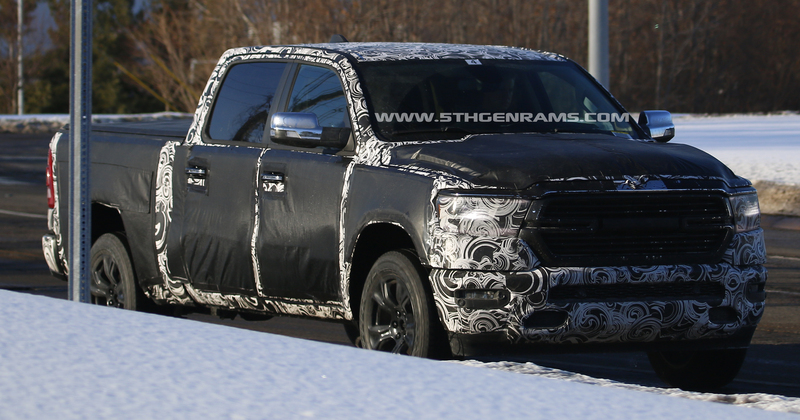 These new 2019 Ram Spy shots give us our best look yet at the Laramie wheels. 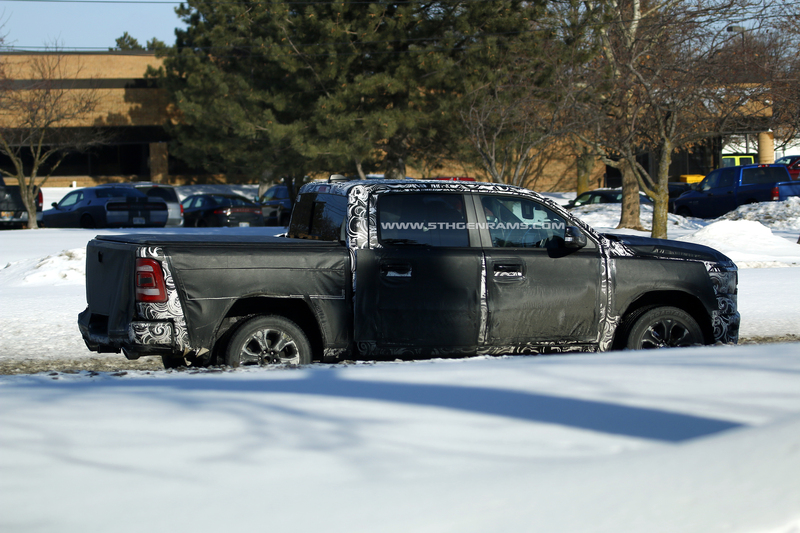 This truck is a Laramie crew cab and has clearly undergone quite a bit of testing. 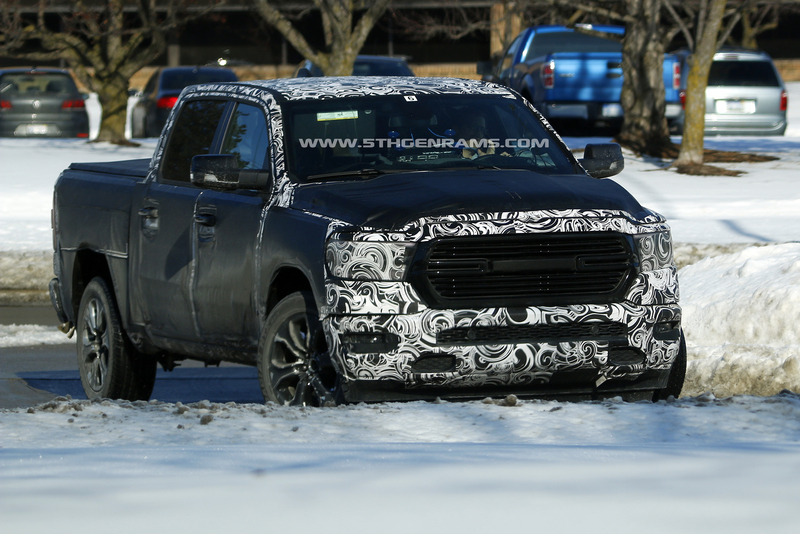 You can see the black paint they use on the grille to hide the shape is rubbing off. 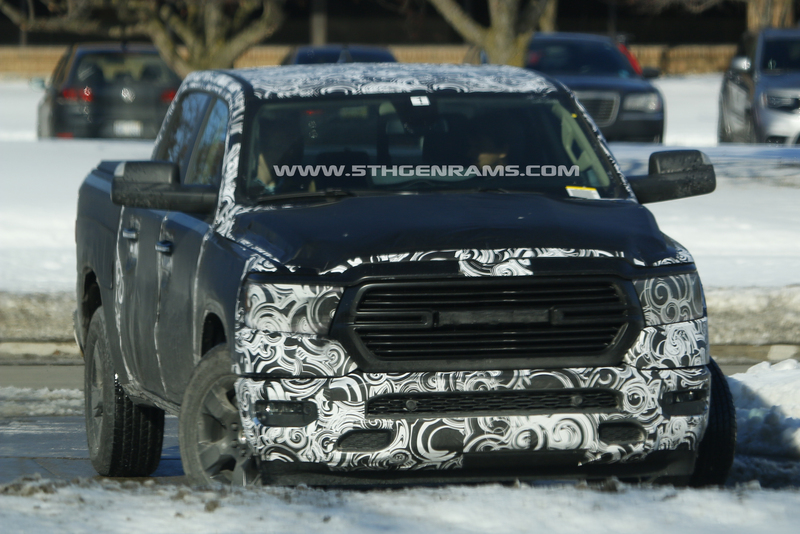 Here is a clear look at the 2019 Ram 1500 Big Horn with the standard 18 inch wheels. This truck also has the front parking sensors with the active park assist sensors, towing mirrors and no tow hooks in the front bumper. The middle picture also gives us a nice look at the LED turn signal shape. 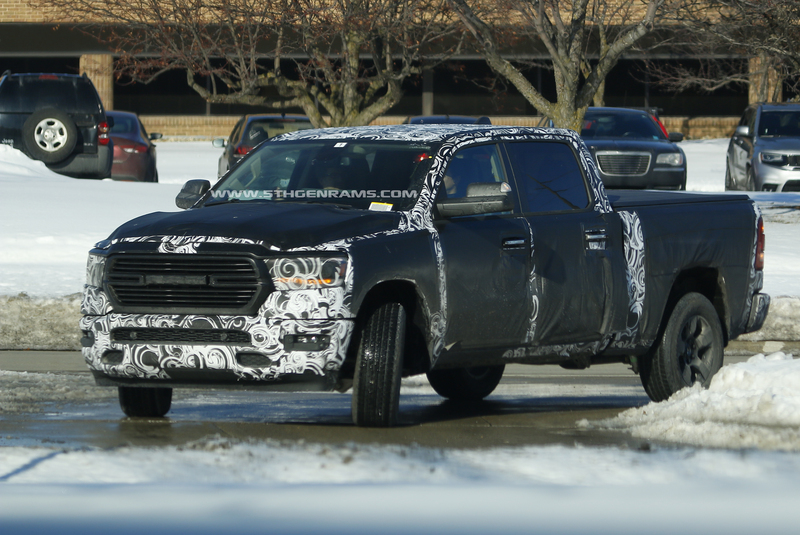 Unquestionably the Big Horn crew cab with the 20 inch wheel option was the most common truck caught testing by spy photographers. 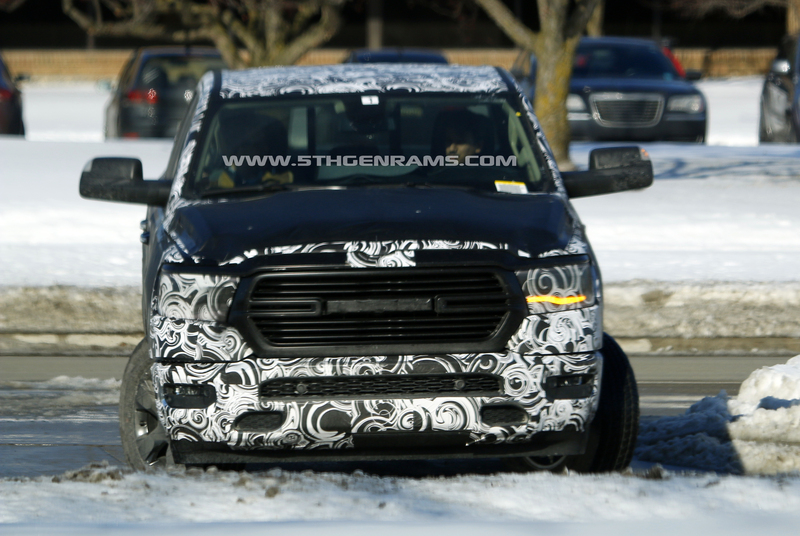 The grille and mirror caps appear to be painted body colour which may indicate a monochrome package as an option for the Big Horn. 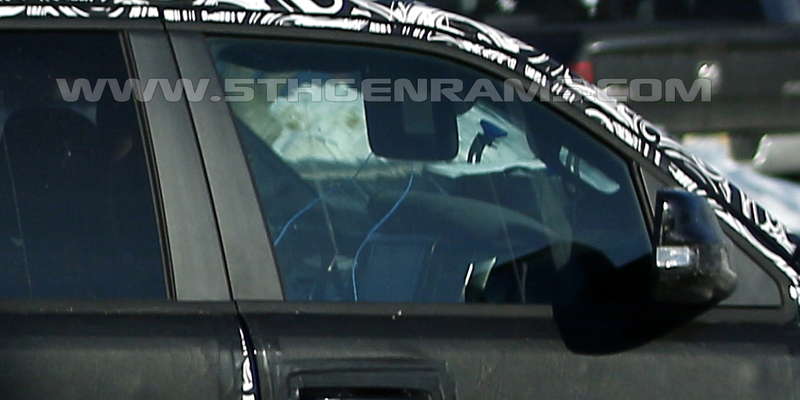 Also shown is what appears to be the 8.4 inch UConnect screen and black pillar trim with presumably a black headliner. 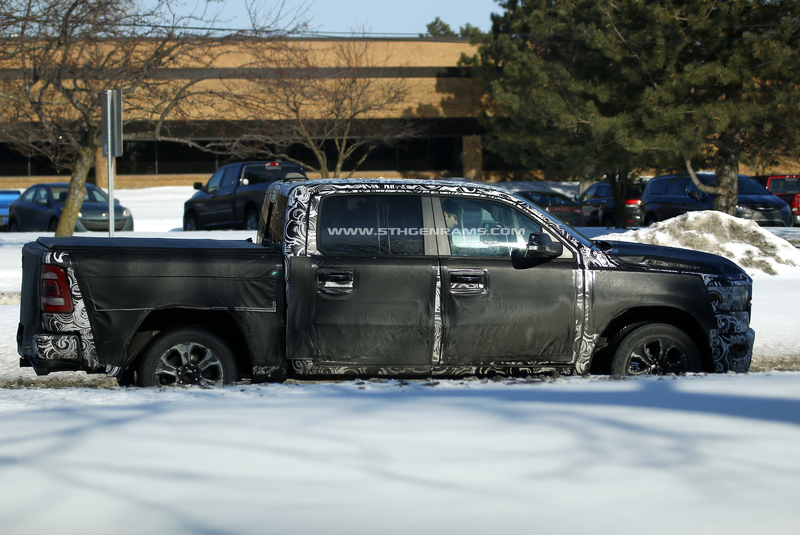 This heavily camo’d truck was also spotted and seems to have something behind the camo just above the license plate recess. 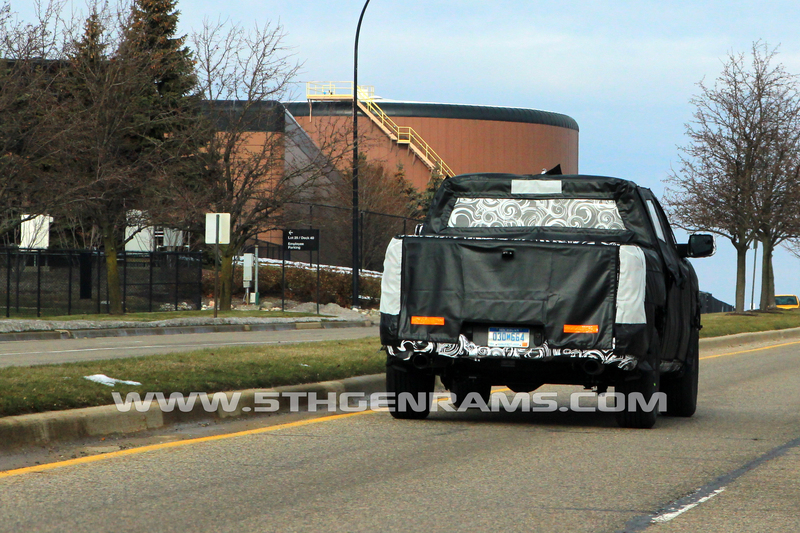 There is also what appears to be a rearview camera sticking out from the top. 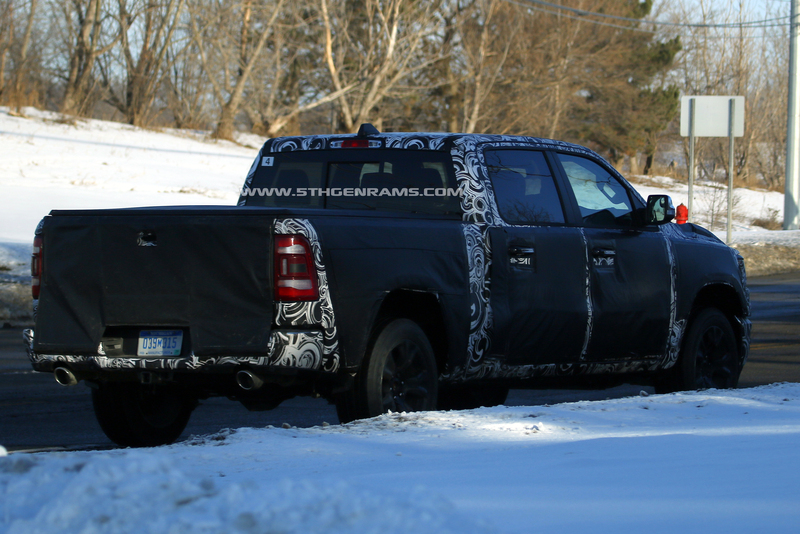 This truck is possible hiding the rumoured split tailgate underneath the camo. 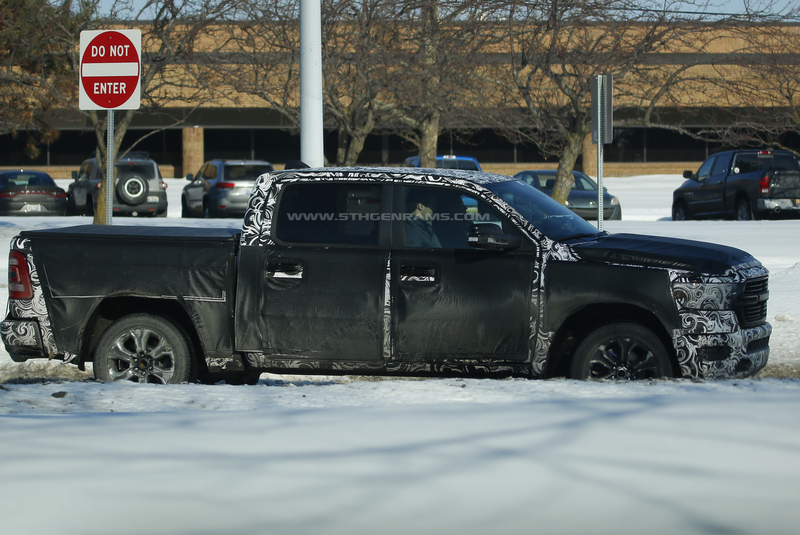 With just over three days left before the reveal these are likely to be the last spy shots we see of the 2019 Ram 1500. We will be covering the reveal extensively and have all the information up on the site as soon as possible. 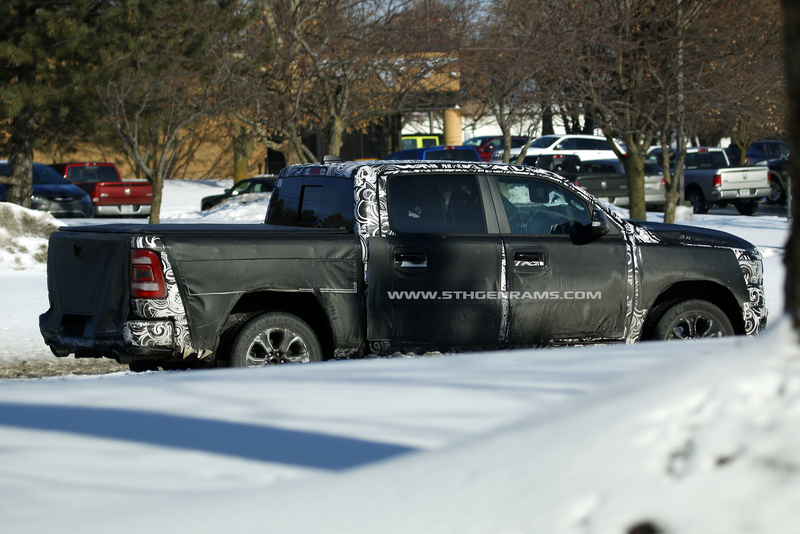 In the meantime let me know what you hope to see on the 2019 Ram 1500 in the comments below.